A collection of documents relating to the Hauge Log Church is maintained at the Perry Historical Center located within the Perry Lutheran Church at 1057 Highway 78 South in Daleyville, Wisconsin. Individuals are welcome to come and research the records as needed. 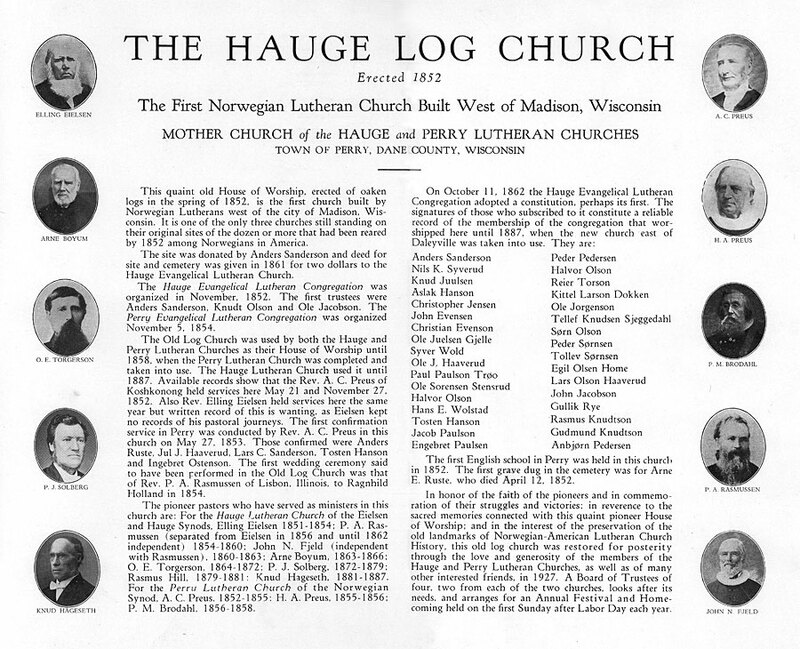 Additional Hauge Log Church information may be found in the collections of the Mount Horeb Historical Society and the Wisconsin Historical Society. In 1960 the National Park Service documented the Hauge Log Church for the Historic American Buildings Survey. Photos, drawings, and field notes from that survey can be found HERE.